Enhance your productivity by managing your data in our Google Apps for Beginners class. Today’s workplace is ever changing. With more people working from various locations and different time zones, collaboration is essential. 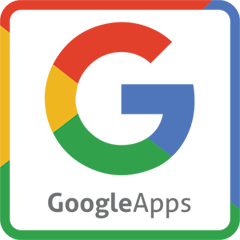 In our Google Apps for Beginners class, you will learn how the G Suite of Google Apps supports both real-time and asynchronous collaboration, a great start for individuals transitioning from an office environment to a Google Apps environment! Gmail, Calendar, Drive, Sheets, and much more all in one place! In Google Apps for Beginners, you will learn the capability of Google Apps and how to work within the environment. Collaboration tools and the ability to manage documents effectively online will change how you and your team do your work. This class can be customized for small groups and employee training so that our experts train exactly how your team uses the Google Apps software.